The goal of the Gary Horowitz Service Learning Program is to foster an environment of social responsibility and community engagement, and to prepare students for their roles as citizens of the communities in which they live and work. Students in the Service Learning program recently volunteered at the local Salvation Army store. Dr. Horowitz served Alfred University for 28 years, first as a member of the History faculty, then director of Alumni and Parent Programs, and finally as Senior Development Officer in University Advancement. 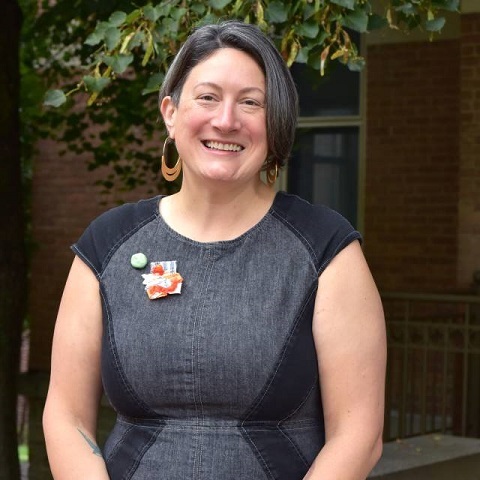 Additionally, Dr. Horowitz was highly involved in the Alfred community, serving as mayor of the Village of Alfred and a member of the Community Chest Board of Directors, as well as other civic and cultural groups. He was also a publisher of the Alfred Sun, the community’s weekly newspaper. Dr. Horowitz was an advocate for civic involvement. He urged his students to become active participants in the Alfred community, especially in ways that tied civic engagement to their academic studies and career aspirations. To continue this work and to honor Dr. Horowitz’ dedication to the Village of Alfred, his former students worked with Alfred University to create the Gary Horowitz Service Learning Program. The Gary Horowitz Service Learning Program mission is to assist in the development of meaningful service learning opportunities for Alfred University students. These opportunities will foster a sense of civic responsibility, provide workforce-applicable experiences and skills, and develop an extended sense of mutually beneficial community among students, faculty and staff, and community partners. Alfred University has a long history of providing service learning opportunities for students. New methods and opportunities for civic engagement are continually developing and adapting to changes on campus and throughout the community. Each semester, courses with a Service Learning designation are offered in various academic departments; these courses offer students the opportunity to become engaged in the community through scholastic pursuits. A great variety of volunteer opportunities are also available for students, faculty, and staff who are interested in volunteering on an individual or group basis. Concepts of Service Learning (UNIV 115) is open to all Alfred University students, regardless of intended major or class year. Concepts of Service Learning is cross-listed as a Social Justice Studies minor course (SJST 115), and includes readings and discussion on the ideals of civic engagement and what it means to work toward equity for all members of society. This 3.000 credit hour course combines weekly class meetings with weekly service hours spent in the local community in an exploration of what it means to be engaged in service learning as a way of accomplishing and demonstrating civic engagement. Each student selects a service project to satisfy the main requirement of at least six hours of service work per week. The class meets together one hour per week to discuss assigned readings and student reflections. Students enrolled in service learning courses develop a deeper understanding of course content, leading to better grades and higher satisfaction with their courses. The service learning experience can lead to stronger social networks with other students, faculty, and community partners. Service learning provides students with an earlier career focus, more clearly defined career goals, as well as marketable skills. The real-world experiences gained through service learning can help inform students' decision-making and enhance their employment potential. Students enrolled in service learning courses often develop a stronger sense of self and higher self-esteem. 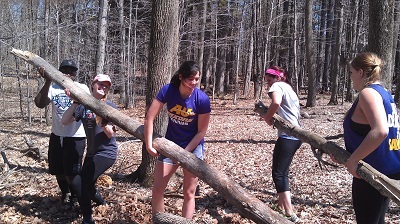 Participation in service learning experiences results in greater involvement and integration into the Alfred community. Students can search for courses with a service learning component in Banner. Contact the Service Learning Coordinator with questions about service learning courses and volunteer opportunities in the community. The Gary Horowitz Service Learning Program provides support to faculty who include service projects into classroom-based curricula. The program has resources, including contacts with local community service agencies and organizations, to assist faculty in developing service learning courses. Service learning brings a dimension of civic engagement and responsibility into the classroom. Students will be able to take abstract concepts and practices learned in the classroom and apply them to service projects, leading to a deeper understanding of course material. Service connections encourage class participation and engagement. Including service learning components in your courses also provides an opportunity to share your experiences with colleagues through professional publications and conference presentations. Courses which include a service learning component may receive a designation in Banner, which allows students to search for courses with the service learning attribute. In order for a course to receive the SL Designation, a designation request must be submitted for approval from the Service Learning Advisory Board. Contact the Service Learning Coordinator with questions. The Gary Horowitz Service Learning Program is eager to cultivate opportunities for students to engage with the community through service. Using Handshake, community partners can post volunteer opportunities for students. Nonprofit agencies and community service organizations interested in recruiting student volunteers or participating in day of service programs should contact the Service Learning Coordinator.